Proud supplier to Bendigo Health Foundation and now the "new" Bendigo Hospital. 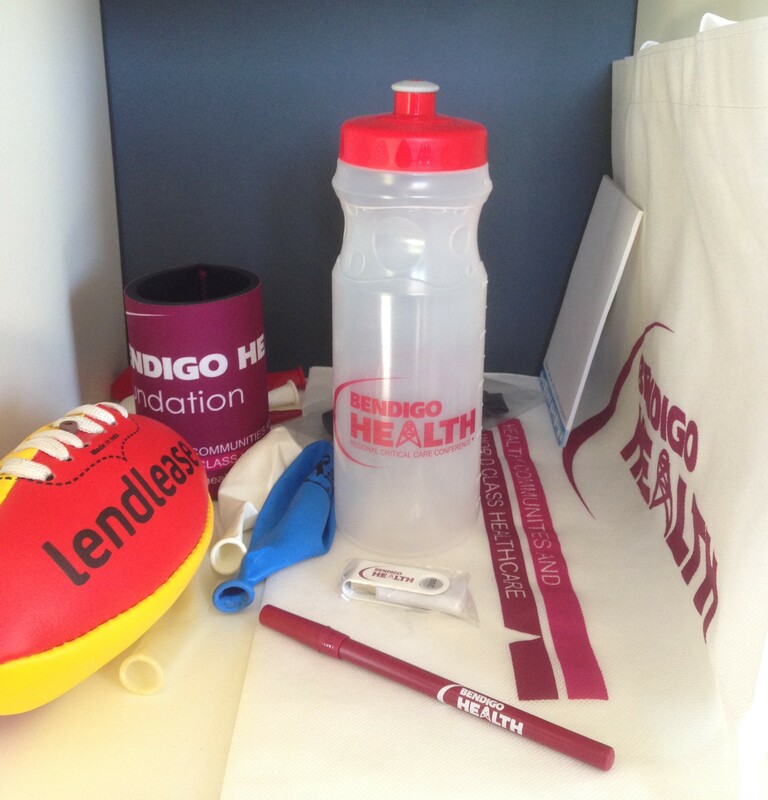 We have supplied apparel for the Foundation's Bendigo Bank Fun Run for the last 3 years, and stubby holders. We have provided conference materials including bags, pens, and USBs for Bendigo Health, as well balloons and printed t-shirts used in the Community Tours, and printed t-shirts worn by the IT support crew during the hospital transfer. Lendlease, who managed the construction of the new hospital, also wanted some branded footballs for an indigenous day at the QEO, and wanted to use a local business. If you want to use a local business and require further details on any of these products, please don't hesitate to contact us.